Foster a positive connection between home and school, so that every child will be ready for Kindergarten and successful in school. You are your child’s first and most important teacher! Research has shown that the single most important activity for building the knowledge required for eventual success in reading is reading aloud to children. There are six pre-reading skills that children must have in order to learn to read. You can practice these skills with your child, starting when they are very young. Print Motivation – Being interested in, enjoying and sharing books. Letter Knowledge – Knowing letters are different from each other, knowing their names and sounds and recognizing letters everywhere. 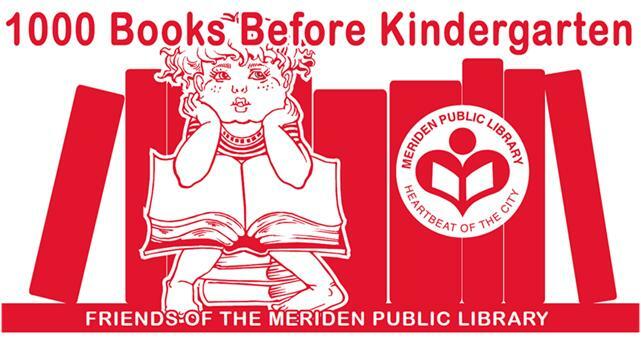 Visit the Tomie dePaola Children’s Library to register for the 1000 Books Before Kindergarten Program and receive your first reading journal OR register online here. Read with your child at home and write down the titles of each of the books you read in your journal or online log (even if it’s the same favorite books, read multiple times). When you have logged 100 books in your paper/online log, visit the Tomie dePaola Children’s Library to receive a FREE book (and a new paper reading log, if desired). When you have logged 1000 books, you will receive a keepsake canvas book bag. in just one year you’ll have read 1,095 books!